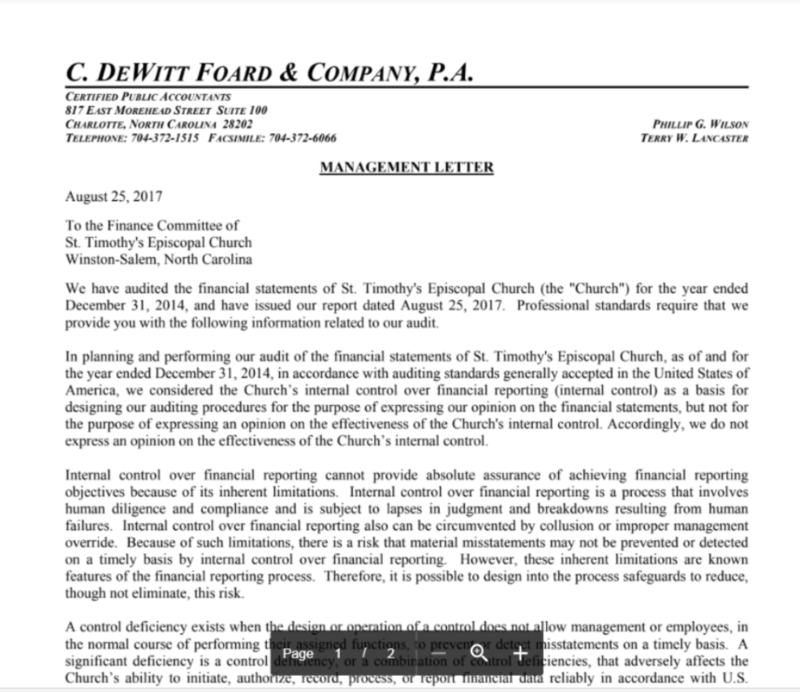 St Timothy's is committed to financial transparency. Our ministries are completely funded by the offerings of our members and friends and we take the stewardship of these gifts seriously. On this page you will find financial information and reports. For inquiries, please contact our Administrator, Chris Ervin at chris@sttimothys.ws or 336.765.0294, ext. 304. Audits and Reviews from 2014, 2015, and 2016. Starting on October 18, monthly statements will be published after the 15th of each month. Click below for the current year's budget.